Earning money with the AliExpress Affiliate Program is an opportunity available to everyone. 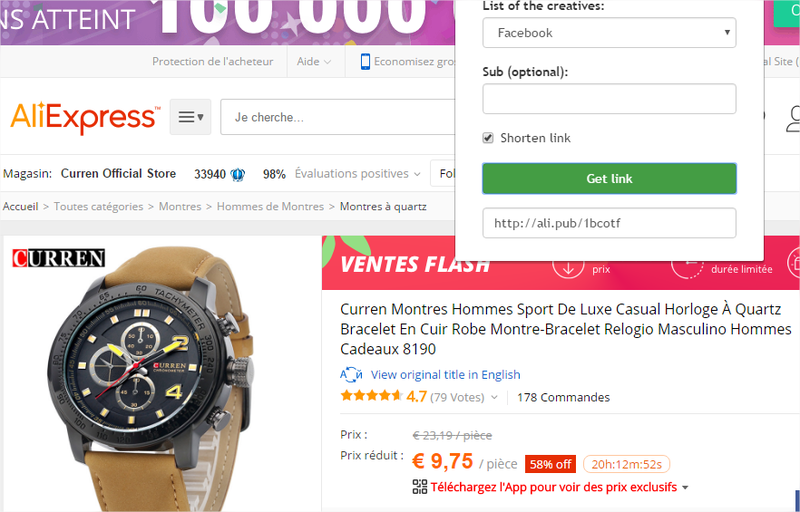 This article provides the best and quickest way to create AliExpress affiliate links that will reward you with real money if someone buys after clicking on one of your product’s links. Working directly with AliExpress can be difficult and it is possible to earn more money by joining an advertiser that will deal directly with AliExpress and provide you the best tools and comissions for AliExpress. One of the best way to use the AliExpress Affiliate program is to go through ePN.bz which asssist you with AliExpress marketing. What is the AliExpress Affiliate Program? 1) How to register on ePN ? 2) How to create ePN links to generate AliExpress earnings? AliExpress offers a very attractive affiliate system with a high standard commission rate on all products. To affiliate a customer, you need that the customer click on one of your link which redirect to AliExpress website. Then if the customer order something the bonus will be assigned to you. If the customer clicks on another link which is not yours before doing the purchase, you will not be eligible to earn the bonus. Without action from the customer, the cookie remains for 30 days on the computer. As soon you have a good website which is able to promotte AliExpress products, you can register on the site https://portals.aliexpress.com/. Unfortunately, getting approveded on the AliExpress Portal takes time, you can wait for month without any answer. Or even worse, your application can be denied. If try to create a deeplink using the menu Ad Center > Deep Link URLs, you can experience the following error message “This url is not promoted by the Portals currently“. It happens for example with products from the official Xiaomi store. This is not a bug, it means that the store owner doesn’t want to be part of the affiliate program. The good news is that with ePN you will be able to create deeplinks to any product and better, earn money when you sell these products! ePN will deal directly with AliExpress and negotiate better commission rates. Tools offered to created links are easy and convenient to use. 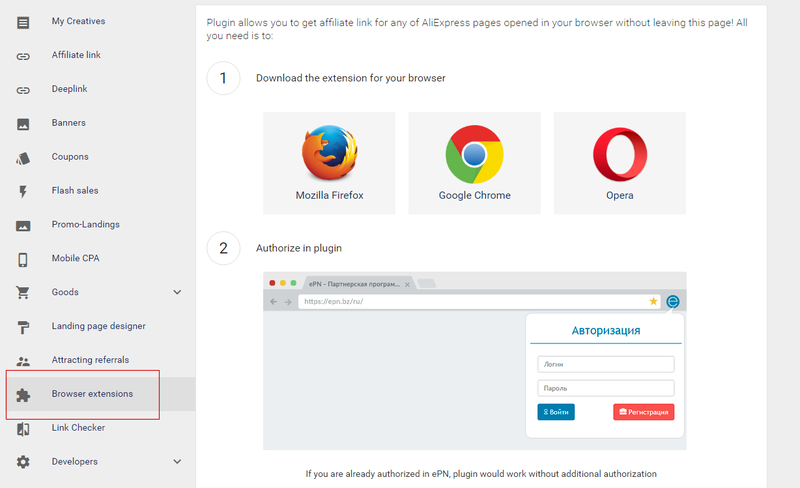 A Chrome extension is provided to create affilaite link for any product of AliExpress in one click. There is no need to waste time, this is simple and efficient. The website is easy to use and the interface is understandable. Create links is a kid job. Each time a customer click on a link, you can track this number, and if the customer buys something, you earn real money. To transfer the money to your account, many options are provided and transfer fees are near 0%. Epayment is in my opinion the best way to transfer the money, with 0% fee. Then on ePayment you can request for a Wire Bank transfer or a Bitcoin transfer. 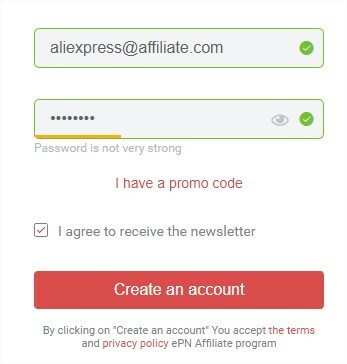 The steps to register are simplified and following the below guide you can start to affiliate AliEpress customers in 15 minutes from now. Go to ePN.bz to register. Click on the button “Register“, fill the form with your email address and desired password and then click on “Create an account“. It is done, you can start use the AliExpress Affiliate Program. One requirement is to have a website related to AliExpress to promote your links. You can also be accepted in the program if you have an active social media channel, such as a Facebook group or popular Instagram account. In a first time you have to define one “Deeplink” . Use the top bar to navigate in the menu, click on Tools then Deeplink. The only important thing here is to select the correct “offer” and set a link to the AliExpress homepage. 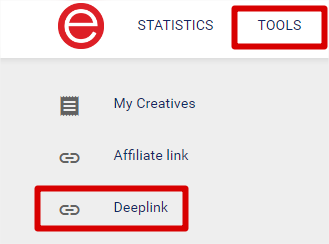 After you will create many others links based on this “deeplink” name. Then download the extension according to the browser you are using. I’m using Chrome on my side. Sign in with your account and go to any page on the Aliexpress website. The extension’s icon will display “yes” and you will be able generate an affiliate link by clicking Get Link (the green button). Yes these kinds of links give you money if someone buy something! This the link you have to promote in your content and that will affiliate your visitors. If they buy something, you will receive 8.5% of the total amount. This does not add extra costs for the buyer, it must be seen as a marketing campaign paid by AliExpress. The link format is ali.pub , you can customize it with your own domain. Here is an example of my statistics with the website conseilgeant.fr . 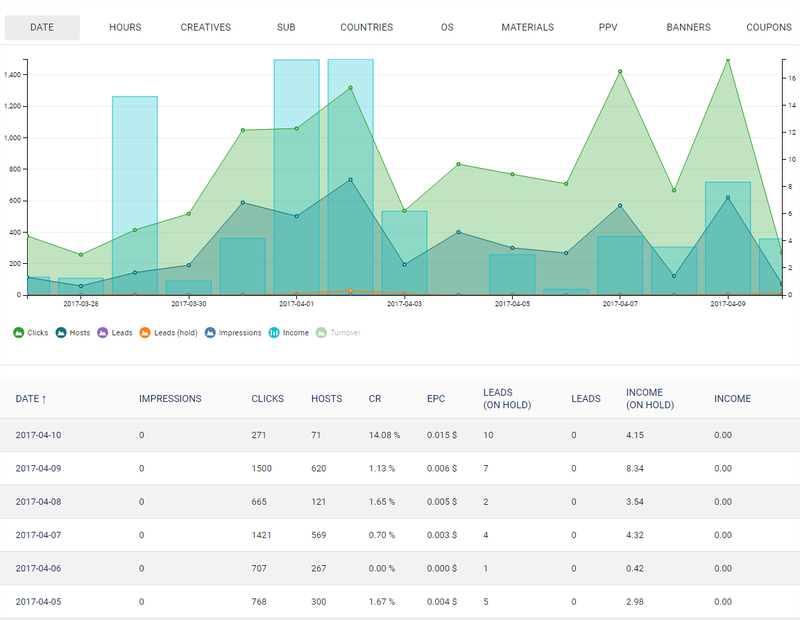 You can have an overview of the number of clicks, the order, how many income you will have, the total payout, all numbers are displayed in the chart and this is very intuitive to work with. The income is on hold, because customers need to confirm the good reception of the package. Once this is done, few days after the money will be validated. Update: after 6 months of use: Everything fine !